Ora Fred Parker, age 59, formerly of Cove, Arkansas passed away Monday, October 8, 2018 in Malvern, Arkansas. Ora was born in Miller, South Dakota on July 13, 1959 to the late Lloyd V. Parker and late Elsie E. Schilling Parker. He was a truck driver by profession. Ora enjoyed hunting and fishing with family and friends. He was a loving father, grandfather, great-grandfather, brother and friend to all who knew him. 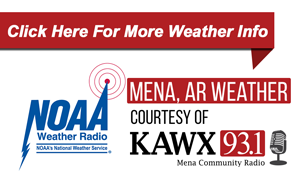 Sisters: Laura Parker of Malvern, Arkansas , Janice Turcott of Mena, Arkansas, and Sara Bailey of Malvern, Arkansas. 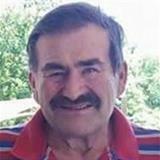 He was preceded in death by his parents, and a great-grandchild Rali K. Shelton. Funeral service will be Thursday, October 11, 2018, at 2:00 p.m. at Beasley Wood Chapel with Pastor Frank Hamm officiating. Interment will follow in the Pinecrest Memorial Park under the direction of the Beasley Wood Funeral Home of Mena. Visitation will be at 12:00 (noon) prior to service at Beasley Wood. Pallbearers will be Troy Parker, Craig Shelton, Cory Shelton, Dennis Bailey, Bryan Shelton, and Heath Christian.